Anahita Sharma is a recent graduate of the University of Cincinnati. During Anahita’s third year at UC, she started experiencing chronic pain that made it impossible for her to get around to her classes. 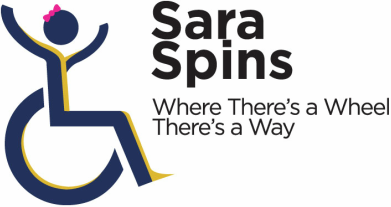 ​She was able to borrow Sara’s personal wheelchair for use during the majority of that fall semester, which allowed her to stay in her classes and attend UC’s Racial Awareness Program (RAPP). She has a deep passion for social justice and because of Sara’s generosity, Anahita’s commitment to her classes and extracurricular activities that semester led to her being brought on as the next student facilitator for RAPP XXXII, RAPP XXXIII, ARJ 2017, and ARJ 2018. Anahita is the recipient of the 2016 Terence L. Jones Diversity Award and the 2018 Marian Spencer Equity Ambassador Award. Now, Anahita is serving as a student success coach through AmeriCorps, and her experiences as a disabled former college student allow her to properly advocate for her own students. She still cites Sara as the first catalyst to her own understanding of disability and chronic illness. Anahita is also a published poet. Her work has appeared in UC’s Short Vine Literary Journal a few times, as well as Z Publishing House’s Ohio’s Best Emerging Poets anthology.